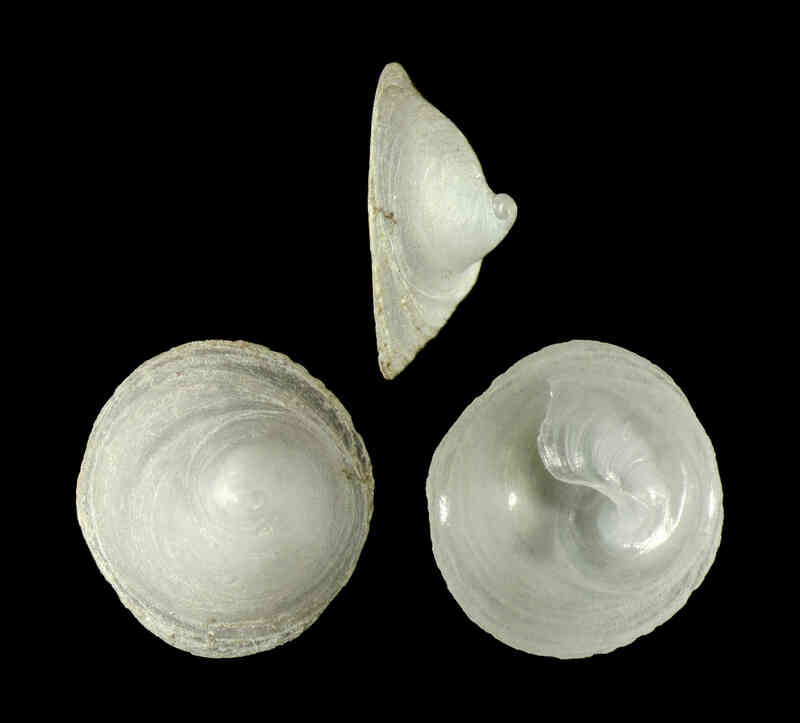 Shell size to 12 mm; shell cap-shaped, conical, with circular base. Apex central. Shell “aperture” represented by a sinuous, flaring shelf inside shell. Edge of shelf near the center is thicker, round in cross-section, and corresponds to columella of regularly coiled gastropods. Color white.